OTC was established in 2003 and performs conformity assessment of products and certification of companies under international standards. EN ISO 50001:2011 Energy management systems. 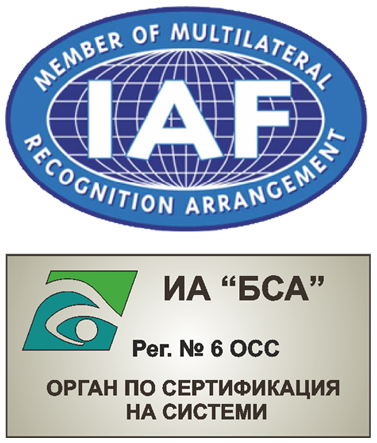 Certificate of accreditation BSA № 6 OCC from 02.05.2018 and date of first accreditation 30.10.2007. Permission № 137-OC/04.10.2018 for conformity assessment of radio equipment, issued by SAMTS. Permission № CRP 27 – NB 2787/28.07.2018 for conformity assessment to the Construction products Regulation. ОТС has active participation in international seminars in Bulgaria and abroad and keep close contacts with professionals from Germany, Denmark, Slovakia, Czech Republic, Poland, Belgium and other countries in EU. ОТС is a member of ACABCP - Association of Conformity Assessment Bodies of construction products. OTC is a member of REDCA – Radio EquipmentDirective Compliance Association. Hristo Belchev 12 str., fl. 2.